When Sebastian was obsessing over his date and worrying about his punctuality at the lab, Loretta dropped a knowledge bomb on him when she asked: "Have you ever considered the statistical possibilities of playing hard to get?" She always knows the right thing to say to calm someone down. Everyone could use a friend like that. 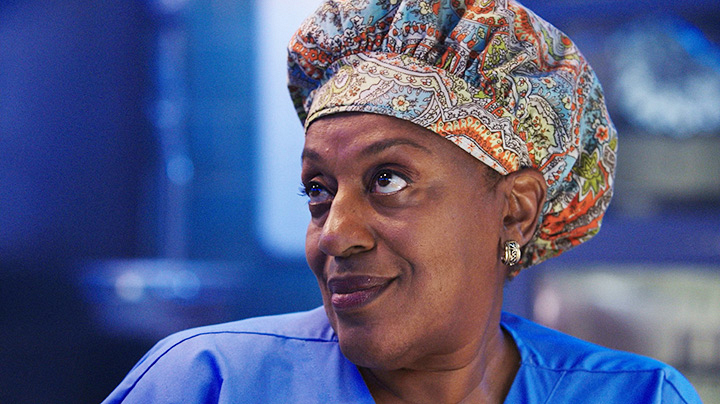 Also can we talk about her amazing scrub hat?